Yucatán Gov. Rolando Rodrigo Zapata Bello and from the National Council for Culture and the Arts (Conaculta) President Rafael Tovar y de Teresa announced the dates for the 2014 International Maya Culture Festival (FICMaya) at the National Museum of Anthropology and History. The International Maya Culture Festival is a combined effort by the state of Yucatán and Conaculta to promote Maya culture in Mexico and around the world. The festival was first held in 2012 to coincide with the new era in the Maya calendar. “We can be proud about having one of the greatest millennial cultures in the world,” said Tovar y de Teresa. The festival will feature authors, artists and musicians, plus plays, conferences and performances surrounding Maya culture. This year’s theme will be architecture. “The Maya are keeping their traditions and heritage alive,” added Zapata Bello. The governor also said that the 10-day FICMaya will now take on a more international aspect, attracting both foreign and Mexican tourists. Conferences at the festival, which coincides with the 75th anniversary of the National Museum of Anthropology and History, will cover a range of topics from indigenous languages, Maya thought and education to the importance of the sun and moon in Maya culture. FICMaya will also include 18 theater, dance and musical events from the world- renowned International Cerventine Festival (FIC), which will be held in Guanajuato during the month of October. This year’s festival will also present the Yuri Knórosov Medal to Maya Quiché Rigoberta Menchú Tum, known for her activism and work promoting indigenous rights in Guatemala. She is also the winner of the 1992 Nobel Peace Prize and the 1998 Prince of Asturias Award. Throughout the festival, special recognition will be given to the late Nobel Prize Laureate Octavio Paz, commemorating the 100th anniversary of his birth, playwright Carlos Fuentes, author José Emilio Pacheco, Gabriel García Márquez, Yucatecan author Leopoldo Peniche Vallado and writer Emmanuel Carballo. “This is a cultural event that will wake up the world’s interest in Maya culture, and at the same time celebrate it’s traditions and forms of expression,” said FICMaya executive president Jorge Esma Bazán. 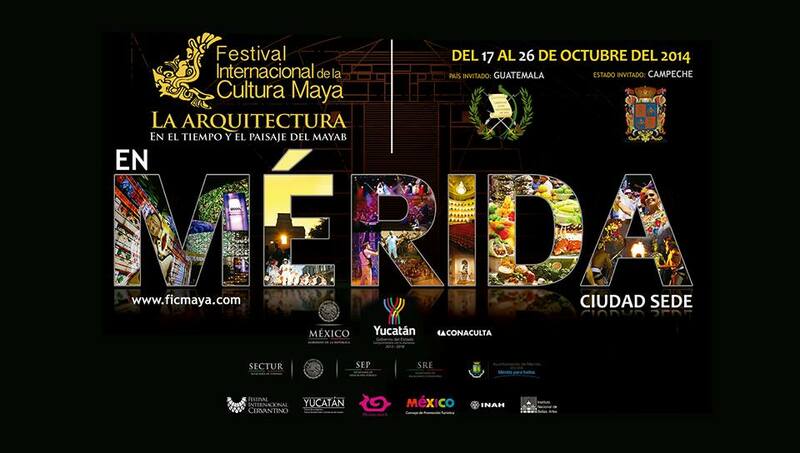 The 2014 International Maya Culture Festival will take place in the city from Oct. 17 to Oct. 26.